Media was made to be enjoyed. CyberLink Media Suite is designed to give you the ultimate in entertainment, creativity, burning and sharing, and is now supercharged with 3D! Packed with the tools you need, you’ll be able to enjoy Blu-ray and DVD movies, create your own Hollywood productions, share videos and photos to your social communities, organize your media in ways and burn discs to back up your content. With Media Suite, there are no limits to what you can do! 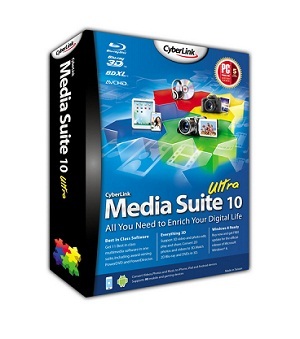 CyberLink Media Suite has everything you need to elevate your digital life. One powerful yet easy-to-use solution lets you organize, play, edit, burn and share. CyberLink Media Suite 10 has been re-engineered to offer 3D support, so you can play back videos and photos; edit and create amazing videos—all in 3D! CyberLink Media Suite includes the latest versions of 11 best-in-class software, including PowerDVD, PowerDirector, Power2Go, MediaShow and more! Check out how the Steadman family members personalize CyberLink Media Suite 10 for each of their own media entertainment and creative needs. Thanks for fantastic media soft.Please count me in. Thanks for this, please include me….. Many thanks for giveaway. It’s amazing software! I want this mega software. Thanks. I Would Like To Win A Copy Of CyberLink Media Suite. Please Count Me In.Thanks…. That´s a great giveaway. I like very much Cyberlink programs. Please count me in fabulous software. I am really using it since 2 years. And it works great for me. I am very much glad to cyberlink team for this software. Giveway exceptionnel, Cyberlink et ses logiciels sont phénoménaux. CyberLink makes good software. Sign me up. Thanks. I guess I still have my good old two chances to win. Please include me in this outstanding drawing. This would be the premier prize to win. I use a lot of products form CyberLink and find them to be better than the competition. I have Power Director and the YouCam 5 Suite. both of which I use regularly. If you could arrange to draw my name I would appreciate it greatly. Count me in on this great program!! Yes I want to take part. I bought CyberLink PowerDirector 9 a couple of years ago, which is included in this package, and it’s worked great for me. I love it! 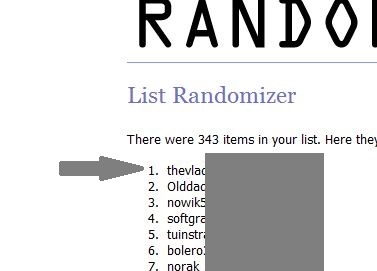 Thank you for the opportunity to participate in this wonderful giveaway! Thanks for this powerful multimedia software suite. Hope I will win. excellent media software. I hope license. Thanks for the giveaway, please include me. I wanna have it, please!!! enter me. This is not a giveaway but a contest! Stop the deceitful posts. This looks like an awesome product and I can hardly wait to use it. Many many thanks for this Ultra Giveaway ! Its an awesome software tool ! Please count me in the draw and make my wish of becoming a winner here for the 1st time true ! An impressive Suite with efficiency. Thanks ! I use and like CyberLink products. I’ve always wanted the Suite but am too cheap to buy it. It sure would look good on my computer! I would really cherish one of these. Thanks for a uniquely fine giveaway!! Please count me in!! I would love to win this! I recently deleted some of my graphic programs(by accident). This media suite would be wonderful. One of the best media suites out there. Cyberlink…one of the best…We try and hope. Thank you. Hello. I would love to participate in this giveaway. Cyberlink 10 Ultra is one of the best media suite existing in the video and audio software market nowadays with the great bonus of 3D support. Wow. Pls count me in. That is a very cool giveaway,thank you.Hope to win. Thanks for the fabulous giveaway, hope to win this one! Great multimedia suite i would like to have it. Great giveaway! Thank you so much for the giveaway! I love Cyberlink software! Count me in! Dziękuje za możliwość wygrania tego wspaniałego programu. It would be nice to have this software, thank you. Really a great giveaway. Thanks. Thks count me in . best software for audio and video. I have power director 7. This would be a great upgrade. Nice one! Count me in. Great giveaway.Count me in, please. Nice one. Please count me in also. Good offer! count me in! Thanks! woohooo!! count me in !! I have been using another software for 3D imageing and would like to have a copy of this software. With my 3D glass, I have hope explore this software to greater heights. Please count me in. Thank you. I would like to win this software.Thanks. Super! Give me… Thank you! The best package for use. I want it right away. It will make a great edition to my dvd burning software. Awesome App so count me in for this please & thanks. This sounds great!Please enter me for the contest to win one.Thanks. Best software.Please count me in. Excellent Giveaway!!!! Please count me in!!! Thanks for this giveaway.I hope license. Thanks for giveaway. Best software. Best giveaway. Count me in. Cyberlink make wonderful programs, please count me in. Thanks for functional media soft.Please count me in. Count me in! Great giveaway! Thanks! great giveaway, please count my in. I like this software. Please count me in. Nice oportunity, thank you so much! Please count me in for this nice giveaway. Thanks giveaway again! Count me in, pls! I want it, please count me! Thank you for this awasome contest. Count me in – Love Cyberlink! Excellent giveaway. Count me in. Great software.I would like to win. Great giveaway! Count me in! Thanks! Thank you AppFound for another great giveaway. Thank you AppFound for this great contest. Please count me in. I need this software. Please count me in. Еxcellent софтњаре.Please count me In.Thanks…. Count me in. My current suite isn’t Windows 8 compatible and winning the Cyberlink suite would be great. Thanks for the great contest! Big thanks for this super giveaway. Hope not too late for this?